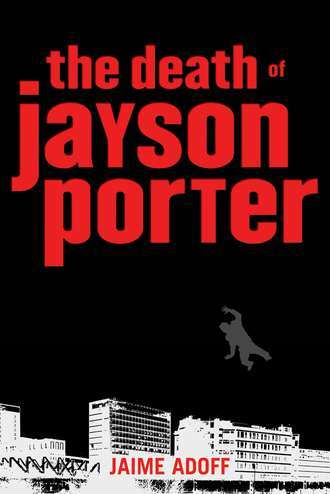 The Death of Jayson Porteris a book that took me way outside of my comfort zone. I don’t mean my reading comfort zone, I mean my human comfort zone. This is a YA novel that packs a significant punch. Sixteen-year-old Jayson lives with his drug and alcohol addicted mother, Lizzie, in a high rise slum called Sunny Gardens in Bandon, Florida. Sunny Gardens. The last stop for single moms and their messed-up kids. The last stop before the streets. Sunny Gardens, where the elevators are always broke – but not as broke as the people living here. Where crack is bought and sold like they trade stocks on Wall Street. Shootin’ with needles and guns while I’m tryin’ to do my homework. Babies cryin’ ’cause they hungry. Jayson takes the reader through hot, hopeless days while he tries to balance school, work and a mother who abuses him physically and emotionally. His father is long gone, although Jayson does visit him a couple times.His life is complicated further by the fact that his mother is white and his father is black, so he isn’t really a part of either world. Jayson is one of those kids you root for, but you also wonder how he’s ever going to survive. Here’s the bit that was out of my comfort zone. I don’t have any real experience with ‘project’ living. I don’t know any crack addicts or hookers. As a mother, I can’t imagine beating my kids the way Jayson’s mother beats him. And even though I understand that this is fiction, I also know that there are kids out there who live like this. So, the book touched a nerve. Adoff captures Jayson’s fear and misery. The writing is immediate and unembellished, sometimes even reading like poetry. There is very little in Jayson’s life that is joyful, but finally and thankfully, there is hope. This entry was posted in 365 Days 2012, Book Chat and tagged 2012, mature teen by Christie. Bookmark the permalink.